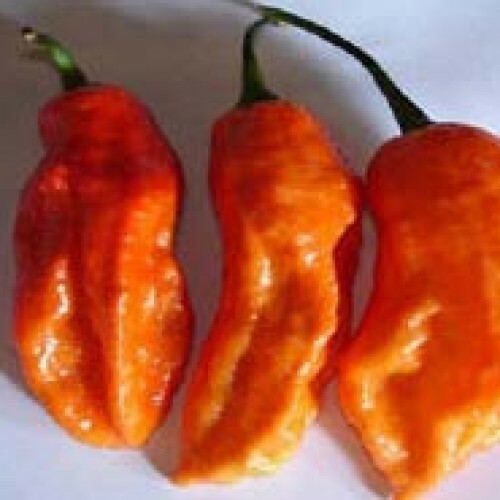 'Bhut Jolokia' or 'Ghost Pepper'! 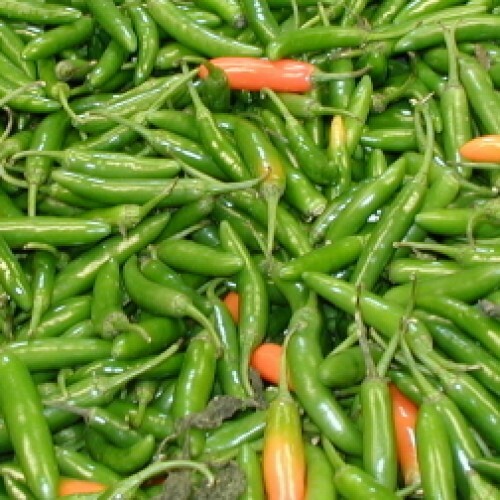 Use caution when growing, harvesting, and eating this one..it is 200 times hotter than the Jalapeno! Long and thin, with heavy yields. Dark green matures to red. 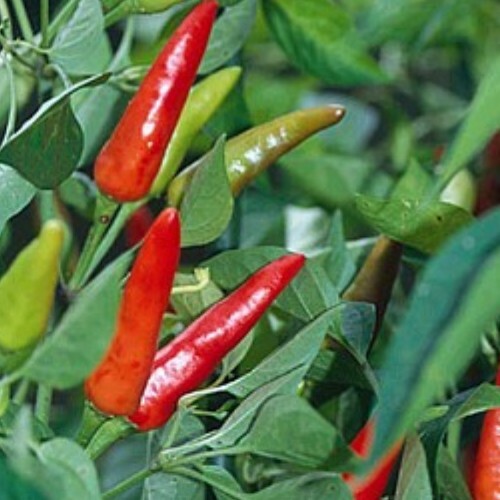 Also known as 'New Mexican Chile Pepper', it dries and freezes well. Very high yield of thick fleshed fruit. A compact leafy semi-trailing plant, perfect for containers. The fruits mature from deep purple through cream and orange to mature to a bright red.The plants have a good tolerance to cooler weather lasting well into the autumn. Harvested fruits are easy to dry as well as being ideal for fresh use. 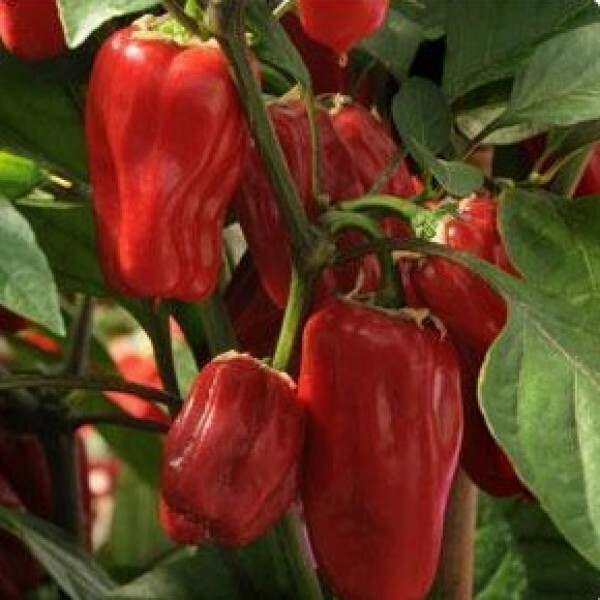 5-6" pepper grows on a highly productive plant. Dark green matures to red. 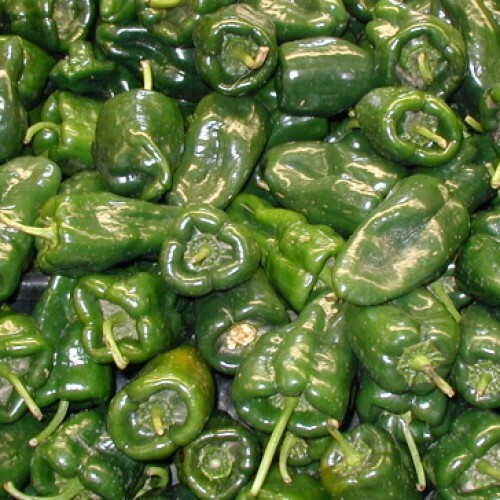 Very hot pepper with great flavor, can be used fresh or dried, red or green. Very ornamental plant. A long,thin-skinned pepper with mild heat; perfect for frying, stuffing, baking, or used raw or pickled in salads and sandwiches. 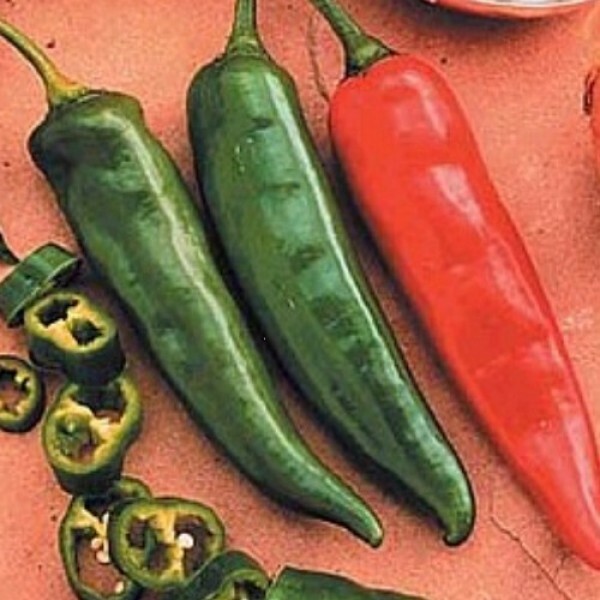 Over 40 times hotter than Jalapenos! Green matures to red 1" peppers. Very productive plant. Key ingredient in Jamaican "jerk" seasonings. 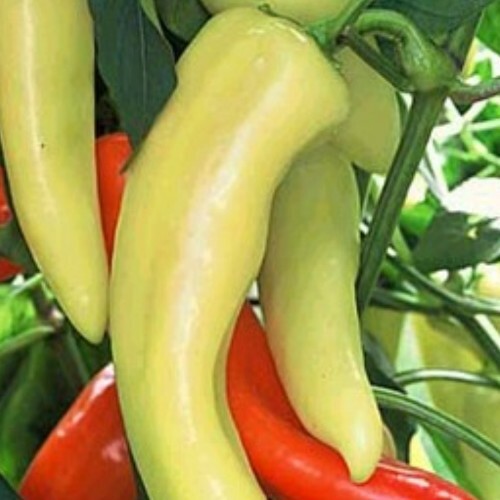 Banana pepper: especially good for pickling, about as hot as a jalapeno. Canary yellow to deep red when fully mature. Fiery, thick-walled, 3" long peppers. Remove seeds to reduce the heat. Good fresh, pickled, stuffed, and on nachos! Dark green to deep red. 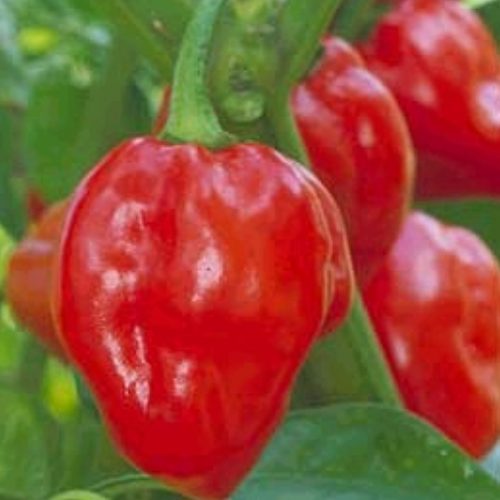 Fruity hot peppers, good in any application; great fried or cut in salads. 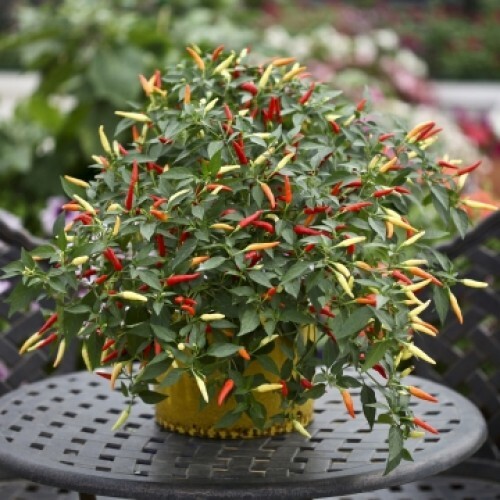 Compact plants; tapered, 4" yellow & red peppers. 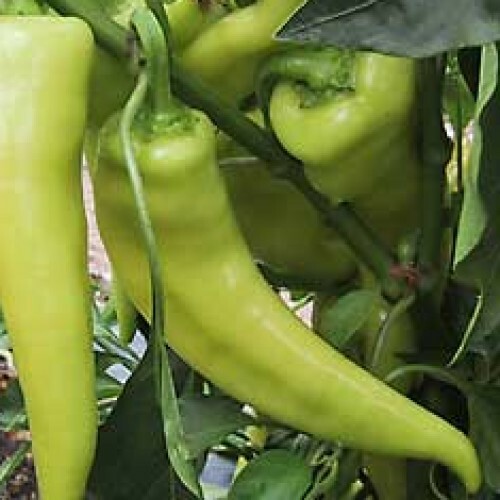 This hybrid Serrano matures quickly and 3" peppers are typical. 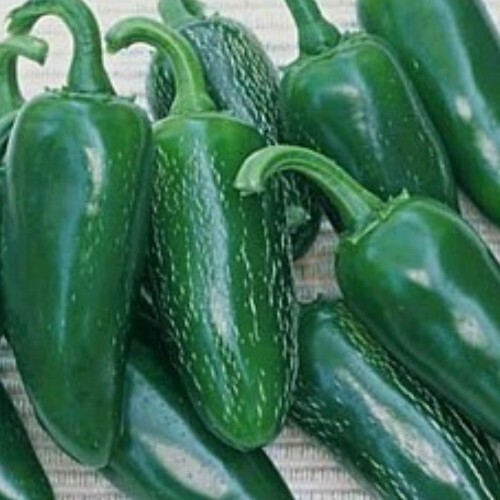 Not too hot, a unique flavor that many prefer to jalapenos. 2-3" peppers. Bred for increased yields and ornamental appeal. 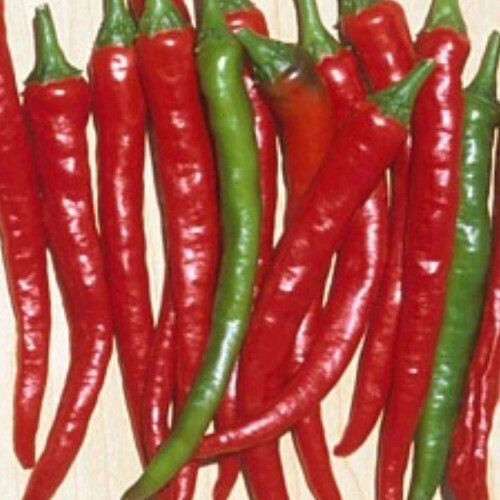 Thin, hot flesh changes from green to orange to red; great in fiery ethnic dishes. 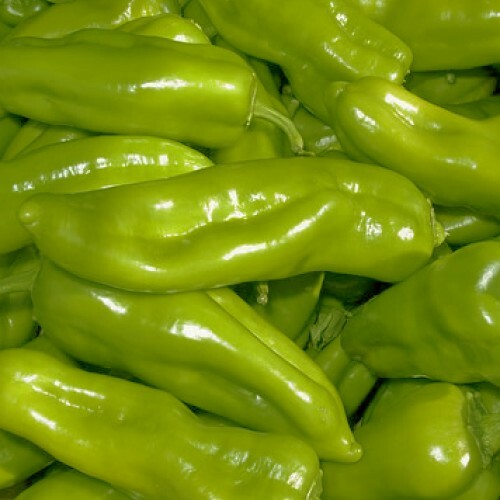 Sweet Heat peppers are sweet and mildly spicy like pepperoncini, with a great smoky flavour. 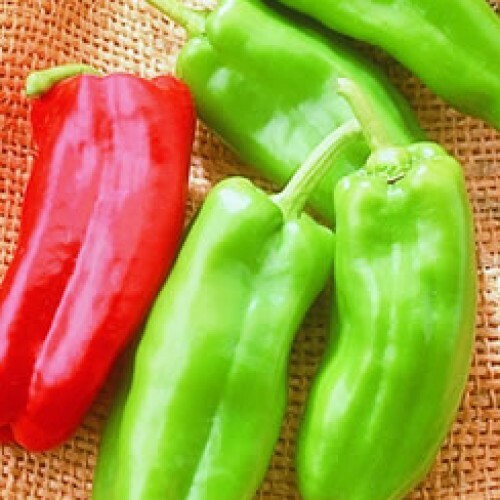 Harvested green or red, and is perfect for grilling or salsa. 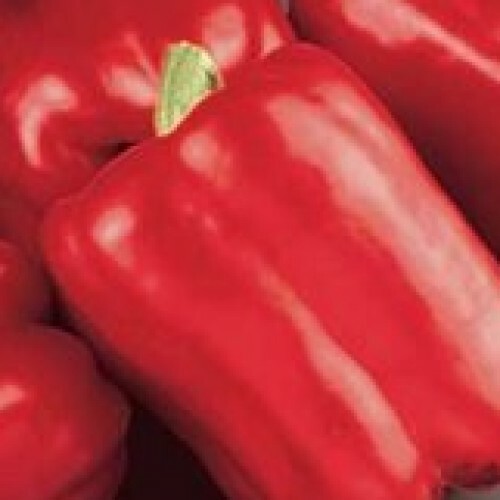 Italian sweet pepper. 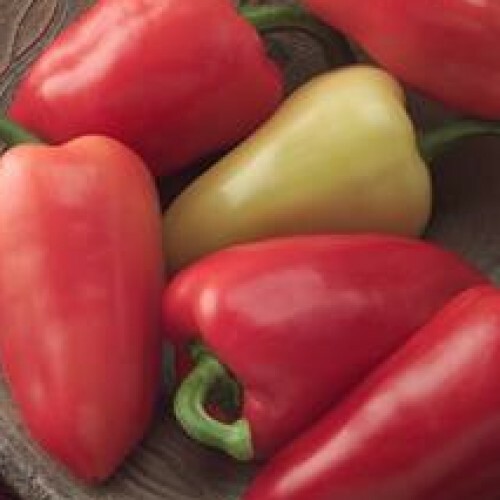 Abundant, traditional Mediterranean style horn-shaped peppers sweeten as they redden. Great roasted on salads and sandwiches. 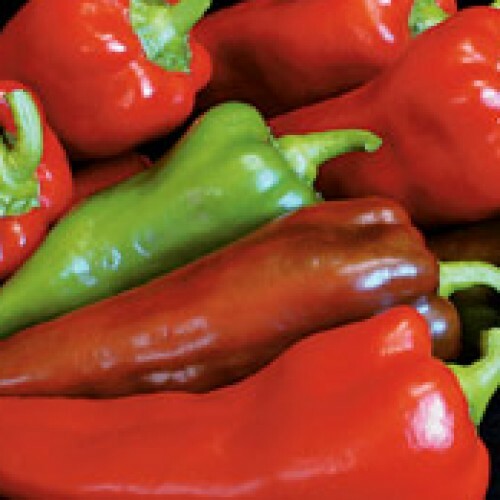 Spanish sweet pepper, thick, and mild flesh. Dark green matures to red. 4" fruits are excellent for canning, cooking, salads, and, of course, in olives! Heavy yield. 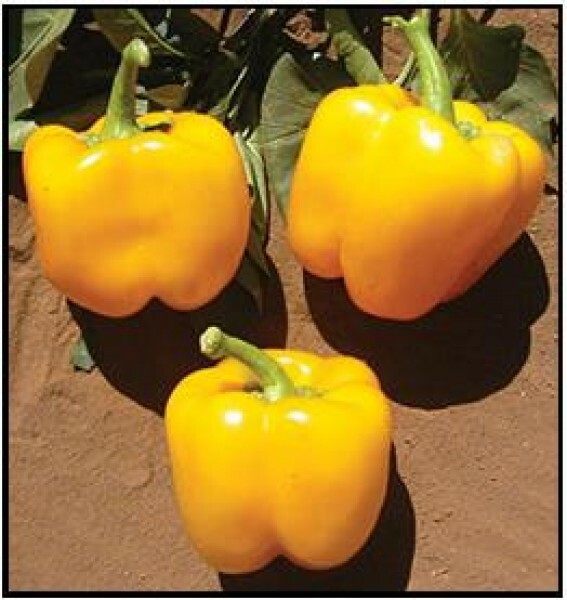 Compact plants loaded with glossy, tapered, 6" yellow peppers. Light green to yellow to orange to red. Wonderful fried or cut up in salads. 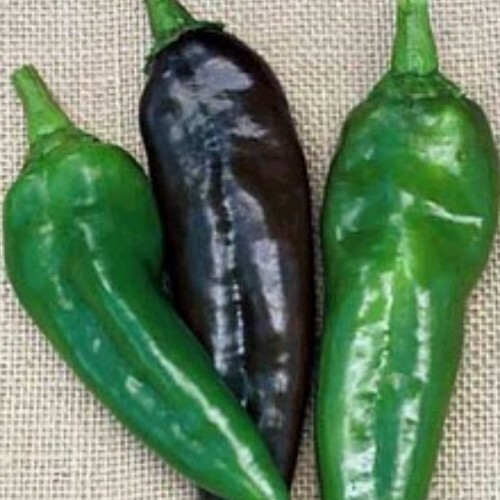 Sweet Italian grilling pepper, 6-8" long, tapered. Very productive, mature at green to dark red. Best when cooked. 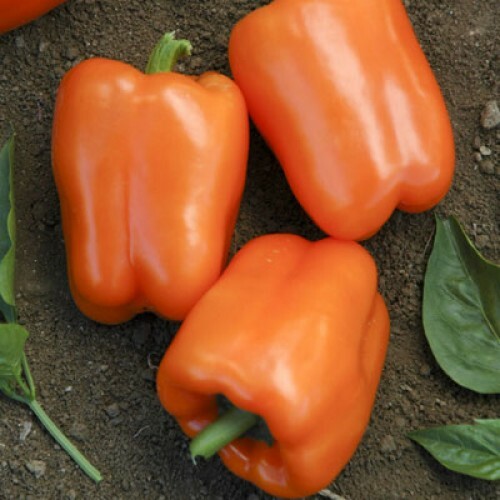 Plants grow to two feet with miniature bell peppers that are 1.5 to 2.5 inches. Glossy, colorful, crisp and sweet. 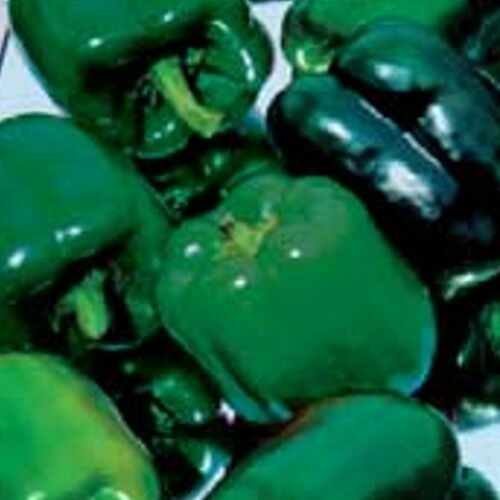 Peppers have few or no seeds. Three or four plants fit into a half wine barrel. Plants are loaded with fruit for an extended picking period. 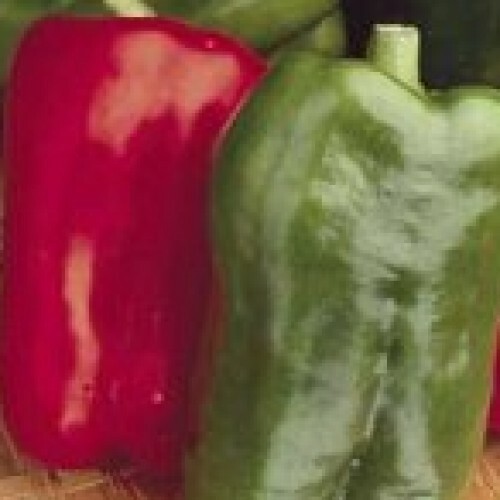 A classic sweet bell pepper, best at bright green, but will mature to red. 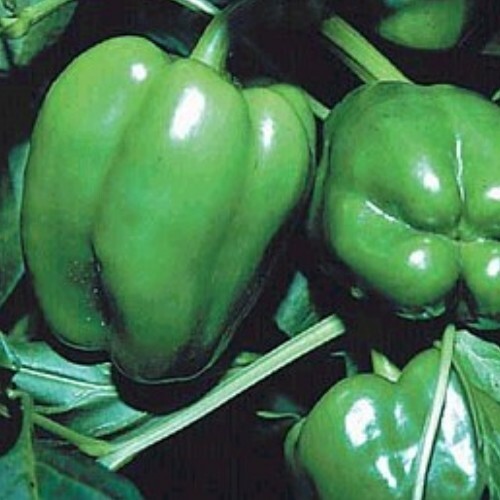 Perhaps the largest elongated sweet bell pepper; plentiful,large fruit Best at bright green, matures to red. Very sweet at full orange color, early maturity. 4" peppers. 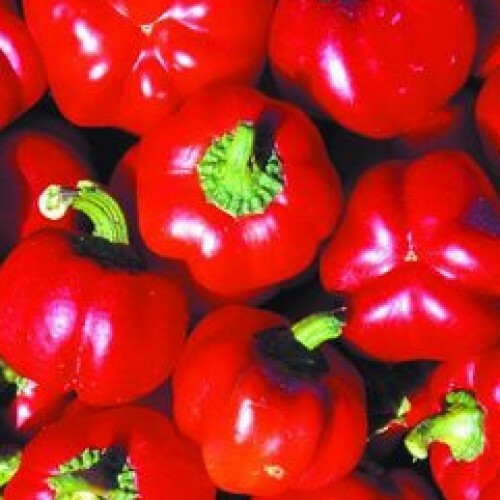 Sweet red bell pepper; Thick-walled, heavy fruits up to 4" long grow bright green, mature to rich red. 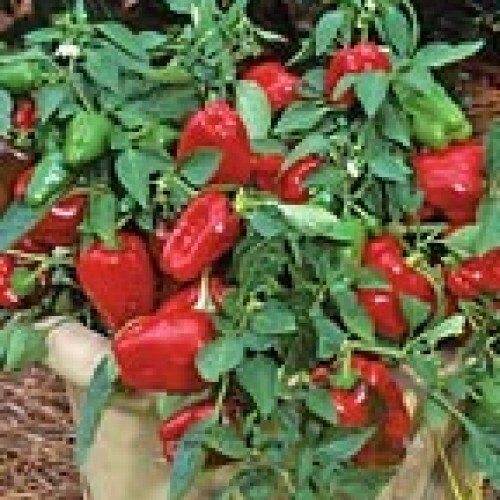 Meaty, 5-6" red bell pepper on a compact, patio-sized plant. Very firm, extra-large sweet bell peppers. Highly concentrated for early high yield.